My buddy, Coco, finagled a back stage pass for a 20 second meet and greet with her favorite musician, John Mayer, when he recently played a concert at Jones Beach Theater on Long Island. I have never had a backstage pass, nor have I ever had much contact with a celebrated being on any level, excluding an incident in the 90s when a member of the New York Liberty bounced a basketball off the side of my head during practice. Therefore, I asked Coco if she could recount what this thrilling experience was like via a top ten list composed especially for Lame Adventures. Luckily for my readership of eight, Coco embraced this tarball of opportunity with gusto, or maybe it was pesto. 10. Enroute to JM meet and greet area, self-inject a tetanus shot while ambulating down a path of narrow wooden planks dotted with rusty nails strategically placed over a fetid swamp brewing in the theater’s bowels. 9. Commit every line of dialogue, camera position lighting angle and applause cue to memory (and cheat sheet inside palm) in preparation of casually mentioning JM’s appearance on the Dave Chappelle Show in the White People Can’t Dance skit. 8. Don’t be outschemed by the two middle age cawffee tawk-types who suddenly step out of line feigning illness before scurrying to the end of the line in a ruse to gain more JM facetime; coolly follow their lead via duckwalk. 4. Heavily name drop Carlisle, your mutual hairdresser connection, at nanosecond intervals in lieu of writing your cell, home, work and fax phone numbers prominently on JM’s sleeve tattoo with a black Sharpie. 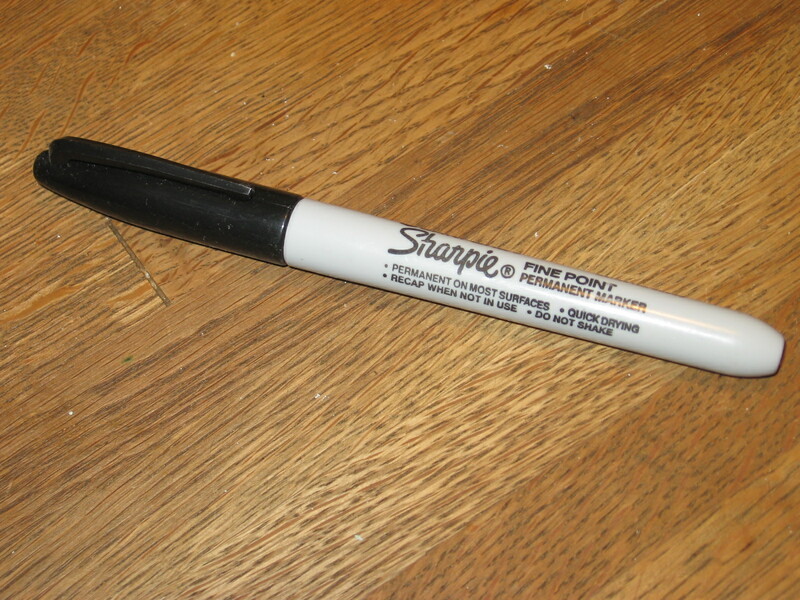 Black Sharpie at the ready. 3. During the entirety of the 20 seconds of JM facetime, verbally bodyblock your dear friend who’s accompanied you as if delivering an acceptance speech at the Academy Awards where you lunged at the microphone first. 2. Suppress tendency to genuflect when praising JM’s musical prowess, prompting him to reply, “Thank you,” and confusing you since you’re unsure if this is in reference to your compliment or not standing on his sneaker with your knee. 1. Crop former dear friend out of the picture, so it looks like you and JM are a couple. John & Coco -- alone at last! 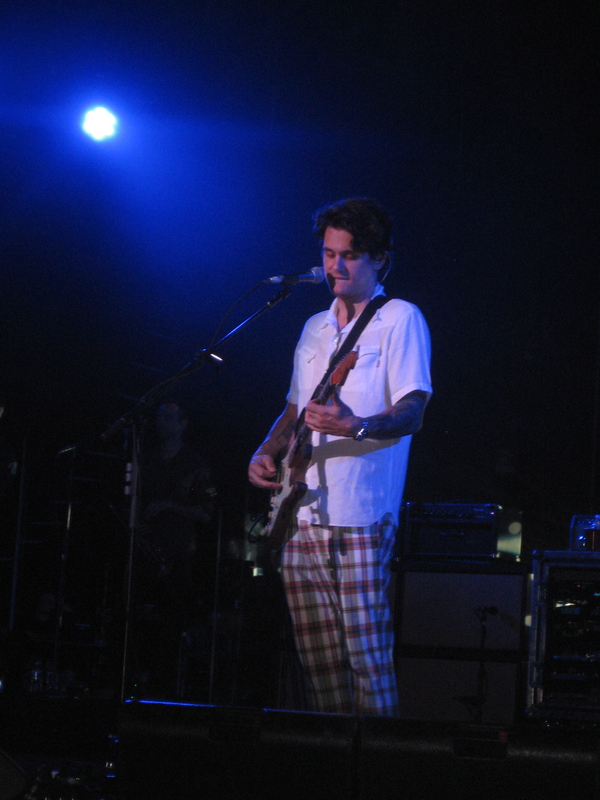 This entry was posted in Humor and tagged john mayer, jones beach, new york liberty, sharpie. Bookmark the permalink.